The ArtisTTable is happy to announce a new set of workshops that will be held in Zwolle, The Netherlands this May. When we tell people about all the activities we do throughout the year the response is always positive and encouraging. It makes us feel great because we see the need that is out there to have opportunities for artists to focus on a specific goal. Sometimes the goal is as straightforward as preparing to participate in an exhibition, other times it is more complicated. 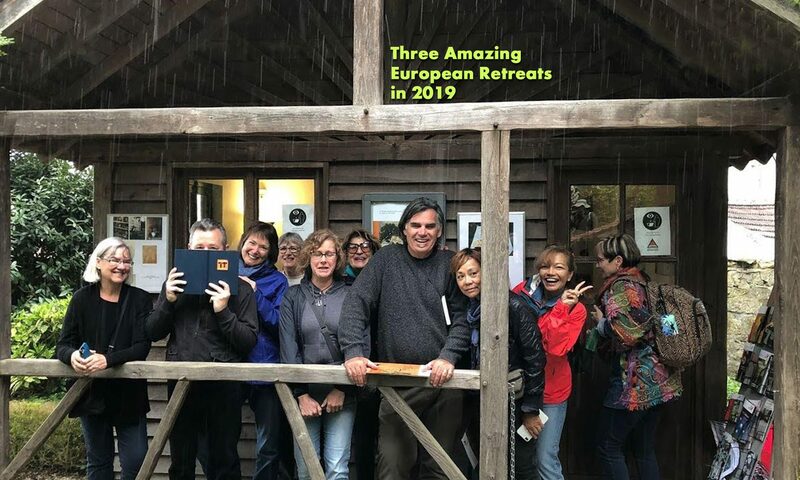 In the case of our retreats and workshops, there are always logistics that come into play, such as, calendaring and making travel plans in order to participate. We feel it is important for artists to take the time and effort to get out of their normal routine and to work on a new direction or to work from a new and or unfamiliar subject. We know from our own experience that these efforts always infuse and enrich our own artistic practices with new and exciting energy. So we are not at all surprised when others hear of what we are doing that the feedback is often in the form of wishes, requests and suggestions for us to put together experiences in new places or to develop variations on what we are already doing. Some of the suggestions are impossible or nearly so for us to pull off, and others are much more within our reach. Since we always love a challenge and we also really like to do our best to provide opportunities that our friends and colleagues want, we got to work. After having hosted a successful Figure in the Landscape retreat in early autumn 2017 in Traverse City, Michigan, USA based out of Royce’s studio, we were so very pleased, as were the participants with the results, and the enormous amount of art that was produced. It wasn’t long after the news of that retreat reached Tali’s Zwolle back in The Netherlands, that we were asked to consider organizing the same there. As time was on our side, we took up the cause and have scheduled three days 11-13 May to hold a Figure in the Landscape workshop in Zwolle. We freely admit that never really allow ourselves too much down time. When we looked that the space of time that we had between our previously scheduled retreats we saw that we could pretty easily three other days drawing and painting en plein air in Zwolle as well. The city is such an amazing subject, from its old old city center to its lush parks and picturesque canals, there is no shortage of beautiful places to draw and paint. We have chosen Wednesday 02 May, Thursday 03 May and Friday 18 May as the three other days to make available for artists of all levels to join us to explore all that there is to see and be inspired by in Zwolle, and we are calling it Teken Dagen. In an attempt to make it as easy as possible for all those that are interested in being apart of either or both workshops, artists can sign up to be there for individual days that fit their schedule if they cannot be there for every day. The days will be full and fun. We will start at 10.00 and end at 17.00. Each day will include lunch. We do have a couple of beds available on a first come, first serve basis at Tali’s house for anyone that might be coming from a far distance. Next PostNext Isn’t That Beautiful?